FAITH IS THE LIGHT THAT GUIDES YOU THROUGH THE DARKNESS"
COME AND GEAR UP FOR AN OVER -THE -TOP UNDERGROUND ADVENTURE! Grounding kids in the rock-solid foundation of God's love, a love that shines light on life's dark times. Following Jesus-- The Light of the World. 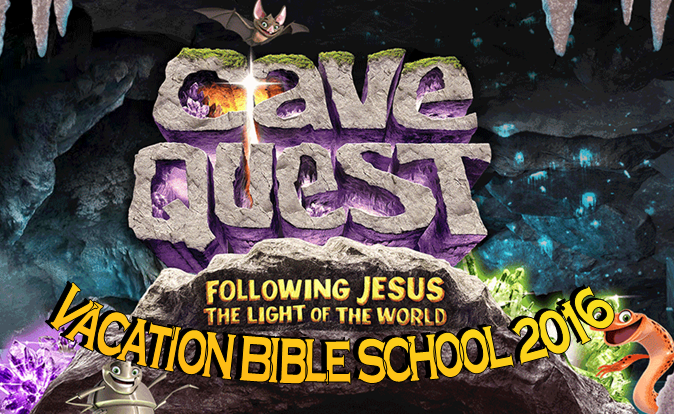 VBS Classes will be held Monday-Friday July 25-29 6:00-8:30pm Meals will be served each night at 5:15pm. Everyone is welcome. COME JOIN US FOR AN EXCITING WEEK OF SUMMER!! It’s our goal to help children grow in their relationship with God!! We’re praying this VBS program will touch children’s hearts and lives with God's love. We want to help kids in our community discover that having faith in God will shine light on all aspects of life. Church is located at 4694 NC 205 Hwy.